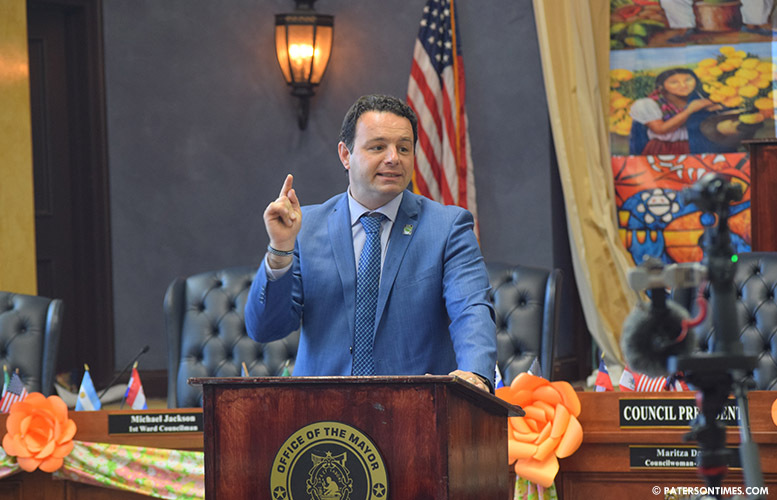 Mayor Andre Sayegh’s administration is planning to send out letters to the city’s large number of tax-exempt property owners – among them social service and religious organizations – to make monetary contributions. Sayegh wants nonprofit groups, who pay nothing for municipal services except for sewer usage, to share some of the tax burden shouldered by homeowners. He proposed the idea on Thursday night, when his administration introduced a budget that will raise taxes on homeowners by 2-percent. Some council members questioned and others laughed at the mayor’s idea. “How are you going to get them to voluntarily pay taxes on properties that are tax exempt?” asked Ruby Cotton, 4th Ward councilwoman. “If they haven’t paid this whole time, none of them are coming to say, ‘I’ll give you five-thousand.’ I just don’t see them doing that,” said Cotton. Some of the city’s largest nonprofit organizations declined to comment on the proposal last week. Sayegh said the city will attach letters to sewer bills to seek contributions. Guarasci said his organization would consider making a contribution if the mayor sent letters out to the tax-exempt property owners. “I don’t see how that works,” said Allen Boyers, pastor at the First Bethel African Methodist Episcopal Church. He said most nonprofits secure tax-exempt status to solicit contributions. Municipal officials have long complained the city has too many tax exempt properties. The tax assessor’s office did not have a tally of the total tax exempt properties on the tax rolls on Friday. A review of the city’s property database shows more than 1,600 tax exempt properties. The database showed the city is made up of 25,356 properties. Meanwhile, the city and St. Joseph’s Regional Medical Center have been involved in a tax dispute. The city is negotiating to get the hospital to pay taxes, according to business administrator Vaughn McKoy. Hospitals in other municipalities have reached agreements with their host communities. St. Joseph’s Regional Medical Center still hasn’t. Over the past years, the city has been selling tax liens on properties owned by the nonprofit hospital. The city is struggling with a huge budget shortfall. It is seeking $40 million in financial assistance from the state government.